Gorgeous move in ready 3 BR/2.5BA home in popular Sierra Montana neighborhood. Updated kitchen complete with newer black stainless steel appliances, kitchen island and ample cabinet space. Large open concept floor plan accented by custom paint and window coverings. Fabulous expansive master suite complete with large bathroom, walk in closet and an additional large sitting/media area. Other bedrooms large enough for queen sized beds! Tons of storage including an under stairs closet in powder room! New garage door opener and garbage disposal are an added bonus. Covered patio with private, low maintenance backyard and a fire pit. Quiet neighborhood with highly rated schools. This is one you don’t want to miss! Welcome home! Approximate size: 3617.00 sq. ft. Please, send me more information on this property: MLS# 5911563 – $229,900 – 15065 N 173rd Drive, Surprise, AZ 85388. 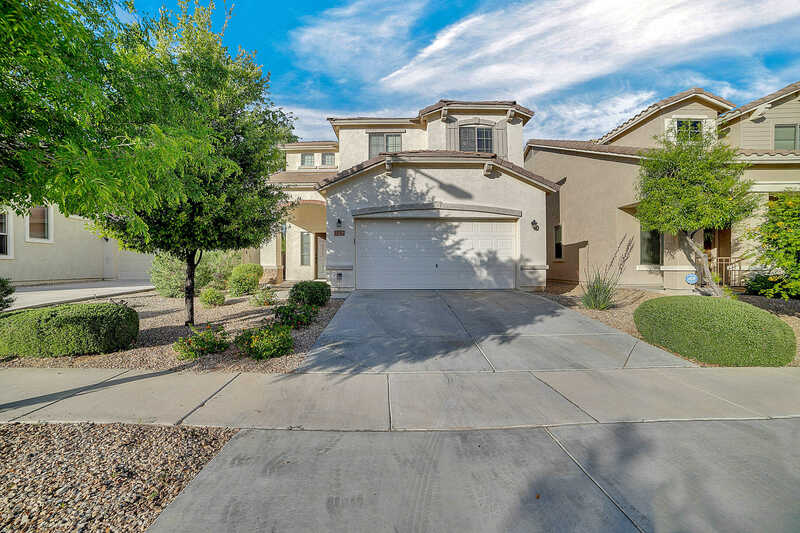 I would like to schedule a showing appointment for this property: MLS# 5911563 – $229,900 – 15065 N 173rd Drive, Surprise, AZ 85388.